Political history goes marching on. Unfortunately, we were unable to post the final scheduled post for the roundtable, which was set to be on race. So instead of someone trying to scrounge up a full post last-minute on this important topic, a few of us decided to put up some brief concluding thoughts on various topics related to the New New Political History. We ask that these be read as more informal than the previous three posts, and more as a touchstone for possible discussion. If things go right, we should have a response to the roundtable from Andrew Robertson sometime soon. Besides engaging with any points in this or other posts in the roundtable, please feel free to bring up any other issues that we didn’t address related to the NNPH. One of the issues that we have not discussed this week is chronology, which John Smolenski helpfully raised in Ben’s introductory post. As John points out for his own work, there are a number of people working on the colonial period doing similar kinds of political history, yet it does not get recognized as such. I want to suggest ever so briefly that the problem is based on the way in which the subdiscipline came to be defined and characterized—and frankly, I think it may point to one of the reasons why gender and race have come up relatively less frequently this week, as Rosemarie Zagarri noted. That is to say, I think one of the major reasons why the “new, new political history” looks the way it does is because of who self-selectively chose both to describe themselves and to define the venues in which they publish. Lacking both time and research assistants, I can’t go back and scan through issues of the William & Mary Quarterly, Early American Studies, and the Journal of the Early Republic, but I would expect that the last publishes far more scholarship that defines itself first and foremost as political history (though frequently using cultural and social methodologies). The JER in fact grew out of a group of historians (as I understand it) seeking to publish more political history, and developed both the journal and SHEAR to focus on the years of the Early American Republic from 1776 to 1861. In other words, there’s a specific group of people who self-consciously define themselves as exploring politics most importantly as politics, and subordinate to a certain degree questions of culture and society, even though those issues deeply inform their work. On the other hand, I wonder whether others, by not defining themselves as explicitly and exclusively political historians, have been placed on the other side of an invisible line as cultural historians of politics rather than the other way around. That may, I’d suggest, be what happens to at least some scholars who come at political questions by looking at women and African-Americans. Others define them as cultural or social historians who work on political questions rather than political historians who use culture and society to answer their political questions. I don’t want to pick on Smolenski—quite the opposite, because I think a quick review of how his book, Friends and Strangers, is described is actually helpful in this regard. The book’s page at the University of Pennsylvania Press is filled with discussion of the book as a contribution to our understanding of colonial Pennsylvania politics. And of course you can’t read the book itself and think it’s not about politics. But take a look at the WorldCat entry and check the Library of Congress subject headings (a crude measure, to be sure). No mention of politics at all, which would make it invisible to someone seeking it out that way. In other words, chronology (and self-definition) is a crucially important question and one that I don’t think I feel satisfied with answers yet. And it may yet prove useful for scholars of the early republic who define themselves as “NNPH” to see connections more clearly with colonial historians grappling with the same issues (a joint OIEAHC-SHEAR conference? Anything is possible!). I appreciate my colleagues’ work this week, and even more the conversation that has begun to grow in the comments. From my point of view at the summit of Mount Cliché, I hope this is the beginning of a conversation rather than the end. I’d like to add a brief remark to my previous post on the NNPH and the “public sphere,” building off of Joseph Adelman’s comment above. It is not only a higher degree of attempted theoretical fidelity that has disappeared since Michael Warner’s Letters of the Republic; serious attention to the development of the public sphere in the late-colonial period has also been almost non-existent. 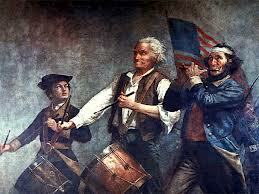 Our field in recent years has been dominated, temporally speaking, by the early republic or early national period. Developments drawn out by the NNPH assume their importance in part because they are assumed or deemed to be native to the early republic, enhancing the importance of both the individual topics and the period in general. But I would suggest that many of these developments are not necessarily native to the early national period; to varying degrees, many have deep roots in the colonial period, i.e., public celebrations as political spectacle, development of the public sphere, the politicalization of printers and print itself, etc…. Our concern with state and party formation seems to have somewhat blinded us to the colonial period and, in turn, has resulted in an almost academic form of American exceptionalism. By beginning with the base assumption that these developments arose out of the context of the emergence of the new American state, we create a disconnect with the colonial period, implicitly rendering an important part of our history moot. Neither 1776 nor 1787 (or even the 1790s, for that matter) were an absolute and complete break with the colonial period, especially in cultural but even social and political terms. Yet this is an idea many of us foster not just in our scholarship but also in our teaching [see Pauline Maier, “Disjunctions in Early American History, Historically Speaking 6, no. 4 (2005): 19-22)]. If the NNPH has failed in any way, perhaps a part of it is its failure to contextualize itself. This may be just because it is something that is important to my own work, but I think going forward it would behoove us to better understand the relationship between the political culture of the early republic and the political culture of the colonial period out of which it emerged. The latest generation of political historians, with their emphasis on “political culture,” have succeeded in expanding the range of characters and topics. This has led to a broader inclusion of women, minorities, and political practices that take place away from the ballot’s box and closer to everyday life. But beyond a few outliers, perhaps most importatnly Amanda Porterfield’s recent Conceived in Doubt: Religion and Politics in the New American Nation (Chicago UP: 2012), there has been a dearth of religion within these studies. This is a curious point, I think, because I think it’s generally agreed upon that religion—however you want to define it and however many denominations you want to include—played a primary role in how citizens experienced early republic life. This, I think, is strange, especially compared to similar histories in other fields. Linda Colley’s classic Britons: Forging the Nation, 1707-1837 (Yale UP, revised ed, 2005), which performs the type of political, social, and cultural history that the NNPH aims to accomplish, is replete with British religiosity and the role that religion played in British politics, society, and culture. It would seem studies of early American political culture would be similarly prevalent with religious issues; the ever-common, and always tenuous, balance of Church and State has been a prevalent topic throughout America’s checkered history. Perhaps its a case of historians wishing to avoid the tricky myth of America’s Christian founders, but works generally point to the creation of a “civil religion” (a concept worth unpacking in another post) and then move on. Religious historians, on the other hand, have done much to incorporate elements of political history into their analysis of religious culture—Jon Butler and Nathan Hatch come to mind—but a reciprocal infusion of religion into political culture has yet to occur. Perhaps this will be the task of future practitioners to pursue in the quest to build on the NNPH and accomplish a more synthetic narrative. One of the problems of writing any sort of historiographical review (especially a short one) is that no sooner have you finished than you are reminded of what you didn’t include. The comments to my piece on the politics of the NNPH rightly highlighted some recent works that have synthesized political and cultural history—most notably Benjamin Irvin’s Clothed In The Robes of Sovereignty and Francois Furstenberg’s In The Name Of The Father. Native American history provides another area in which those who have normally been written out of political history have started to come back in—a number of the essays in Revolutionary Founders concern Native American relation, and Alexander McGillivray even found his way into Joseph Ellis’s American Creation. Since I wrote my contribution to the roundtable, I’ve been reflecting on the way that a number of histories of Native Americans or American borderlands have synthesized these political and cultural approaches in a way that hasn’t really crossed over into consideration of more traditional political questions. My post only nodded at legal scholarship in the last few years, too. Pauline Maier’s review of Alison LaCroix’s The Ideological Origins of American Federalism mentioned that consideration of colonial and revolutionary government and law had migrated from history departments to law schools. Other reading suggestions might be Christian Fritz’s American Sovereigns or Larry Kramer’s The People Themselves. From a history department standpoint, I’d include Craig Yirush’s Settlers, Liberty and Empire here too. I think the different contributions to the roundtable, and the excellent comments, have highlighted just how much the NNPH has contributed to research in early American history—and that by integrating social and cultural history with more directly political concerns, there’s been a new impetus to research in a wide number of different fields. That may have come at the cost there being a clearly established or defined “school,” but it has had a wide-ranging and invigorating impact. Thinking over the totality of our very engaging roundtable on “the newest political history” my main takeaway is that the revolution promised by that generation of scholarship has yet to be fulfilled. A workable synthesis of political, cultural, and social history that reaches “beyond the founders” remains out of reach. The move to the “public sphere” and “civil society,” discussed so wonderfully by Michael D. Hattem, may have broadened the cast of characters in academic discussions but in the broader narratives our profession fires off to the world remain remarkably claustrophobic. For example, as I noted in my earlier post, the bullet-stopping-sized synthetic works, which one finds on the bookshelves of Barnes & Noble, continue to give second fiddle (or worse) to themes centered on gender. Other examples abound. This is not, to me, a cause for despair. The moment of “the newest political history” is not over. All of the scholars associated with this movement – from David Waldstreicher, Rosemarie Zagarri, to Seth Cotlar (whose book just came out in 2011!) – are extremely productive. There is also a rising generation of scholars (represented by many of the folks on this blog) weaned, in seminars, on the “newest political history” who seem to be asking the sort of questions that may cut that Gordian Knot. The compelling synthesis of social, political, cultural history promised by every previous generation scholarship may be in reach. I just wanted to chime in and say I think your spot on about the NNPH & religion. The closet thing we have is Jonathan Sassi’s work – his book “Republic of Righteousness” and his JER article on religion and partisan politics. But I am very biased, considering that Jonathan is my dissertation adviser. This roundtable has really got me thinking about what such a history would look like. Much of the scholarship on the relationship between politics and religion is relatively traditional. What would happen if political-religious historians embraced some the methodologies beyond the “newest political history”? It certainly would be interesting! I really enjoyed this roundtable and have been given a lot to think about. Great point about Sassi; I’m kicking myself for forgetting his work.